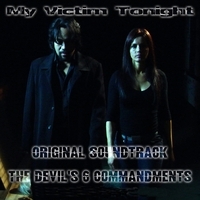 “My Victim Tonight” is the official theme song of the Australian indie film “The Devil’s 6 Commandments” (out in mid 2010 in Australia), starring Gianna Pattison and Felino Dolloso. “The Devil’s 6 Commandments” is about 6 revenge stories intertwining one another. Synopsis: On the verge of committing suicide after being brutally raped by thugs, Nina is persuaded by Ares, her psychotic step brother to track down the thugs and torture them. During their revenge mission, Nina and Ares encounter Trevor Moretti, a rogue cop who helps their cause; Albert Pike, a homophobic multi millionaire; and Freddie Ramone, a priest with dark past. “My Victim Tonight” is composed by Nish Veer. Performed by Adriano Doong and Nish Veer.